Around 1 in 17 people will be affected by a rare disease at some point in their lives. This equates to approximately 3.5 million people in the UK and 30 million people across Europe. For Rare Diseases Day on 28 February, we are shining a spotlight on mitochondrial eye diseases and the exciting research that is revolutionising the diagnosis and treatment of this group of genetic conditions. Mitochondrial disease is a group of genetic conditions that occurs when the energy-producing batteries (mitochondria) within the cells of the body do not work as well as they should. When the cells in the human body do not have enough energy the tissues and organs start to fail which leads to disease. Mitochondrial disease is estimated to affect approximately 13,000 people in the UK and can develop at any age. There are limited treatment options for mitochondrial disease and care is focused on relieving symptoms and complications that can develop. How can mitochondrial disease affect the eye? Half of all people with mitochondrial disease will be affected by an eye condition of some kind. The lack of energy production by mitochondria can cause problems with the optic nerve – the high speed cable that sends information from the eye to the vision centres within the brain. The eye muscles are also frequently affected in mitochondrial disease causing droopy eyelids (ptosis) and sometimes double vision. About 80% of rare diseases have a genetic component. Mitochondria are unique in containing their own genetic code that we inherit only from our mothers. If there is a genetic mutation in one of the 37 genes contained with the mitochondrial genetic code, the disease can be passed from mother to child. A genetic mutation is like a spelling mistake in the genetic make-up of a cell. Genetic technology has greatly improved our understanding of mitochondrial disease and other genetic eye diseases. 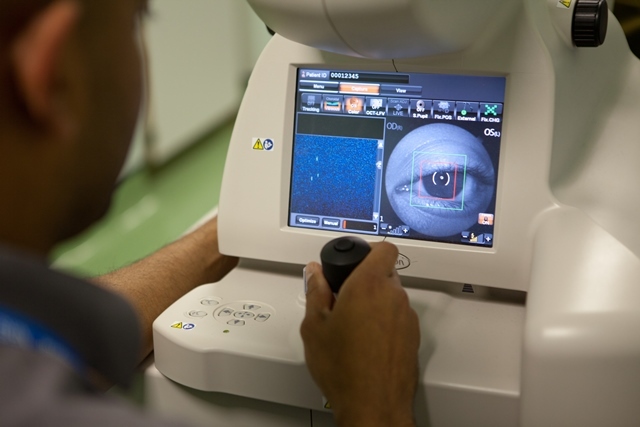 “We are now able to find the genetic mistake and give a confirmed diagnosis in over 60% of patients who have a suspected inherited eye condition - something that was not possible 10 years ago,” says Patrick Yu Wai Man, consultant ophthalmologist at Moorfields Private. A confirmed genetic diagnosis can help predict how a particular inherited eye condition will develop and progress over time and is the best way to prevent or minimise complications before irreversible damage has been caused. Doctors are then in a position to advice other family members on whether they have inherited the genetic mutation or the likelihood of passing it on to future children. Importantly, knowing the genetic mutation improves access to research studies and clinical trials that are exploring new treatments, such as gene therapy. Unlocking the remaining genes that have not yet been identified so that people who clearly have an inherited eye condition can be given an accurate diagnosis. Finding better ways of imaging the eye so that doctors can tell if the disease is progressing or whether a particular treatment is working or not. Developing new effective treatments by making use of all of the scientific knowledge that has been gained over the years to achieve our ultimate goal - to slow or even better stop sight loss caused by genetic eye diseases. We now have a much better understanding of mitochondrial eye diseases and the exciting discoveries that have been made over the past decade have opened a whole new horizon in terms of potential cures. A number of organisations have been set up to promote greater awareness of mitochondrial disease and support patients and their families.